So Why Are We Award Finalists? VOTE NOW http://bit.ly/MMAwards2019 We need your support!!!! 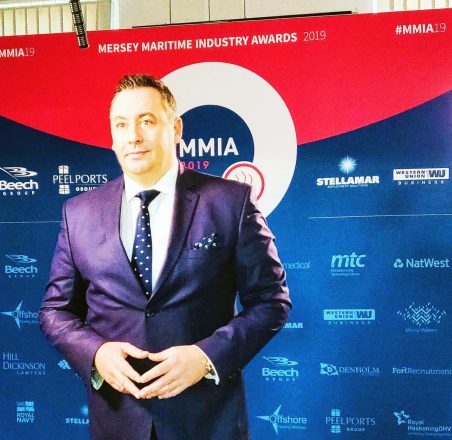 Well, having been shortlisted as a finalist for the Mersey Maritime Awards 2019 #MMIA2019 -why do we deserve to win the Positive Impact Award? We exist solely to have a positive impact, and we like to think that is what we do. From our First Thursday networking events, our lunches, the Seafarers Quiz and our football championship – we have cemented an important position in the maritime scene. That only tells part of the story of course, we do so much more besides – and there are the quiet victories which actually mean so much. Rallying to the assistance of the people in our shipping circles, promoting events, helping artists to become part of the world that they would otherwise only see on canvas or in a viewfinder. We are also immensely proud of the work we do with students, and there are some we have managed to help into employment, while others often approach us for guidance on their dissertations or for information. We are also very proud to visit Liverpool John Moores University each year to welcome new students to the city, and to explain how lucky they are to be in this amazing city, and to have access to so many maritime professionals, world-class talent, skills and knowledge is literally on their doorstep – they just have to pluck up the courage to engage. We have also raised funds for seafarer charities locally and which impact the entire UK. While also supporting a range of maritime heritage and history events and groups. We passionately feel that the success of the present and the hopes for the future of shipping in our region is built on the astonishing heritage we have – so we want to support that and remind people of where the maritime industry has come from, where it is, and where it is going. First and foremost though, this Positive Impact nomination isn’t necessarily about the good in shipping, alas it is about how we became involved in a very bad news story indeed. 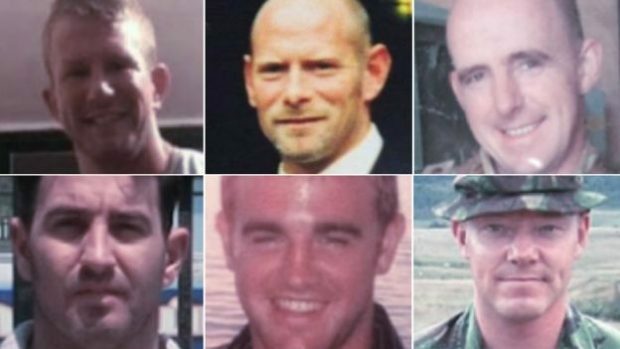 The #Chennai6, a group of 6 British veterans who had been working as armed security guards to protect ships in the Indian Ocean, had been thrown into an Indian jail for crimes they didn’t commit. Sadly for them, this was no A-Team scenario – there was nothing they could do, they were stuck and even the British Government was unable to push things forward. Thankfully for the group, they had amazing family members – they had wonderful industry figures to back their campaign – and they also had Propeller Club Liverpool to begin banging the drum, to gather people together and to start getting the message out about this terrible injustice. So that is what we did. We invited key people from the campaign to Liverpool – we spoke loudly about the seriousness of the situation, and the fact that shipping needed to rally to the cause of these men who had done so much to serve their country in the past, but also to now protect seafarers. 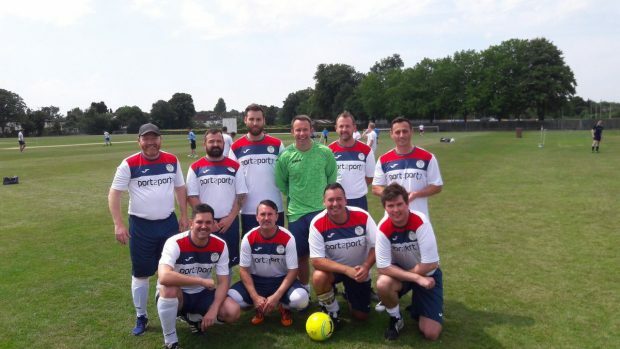 We wore #Chennai6 football kits at the Marine Challenge Cup, we hosted a huge event as part of London International Shipping Week – and we spoke out about the wrong. Perhaps even more importantly we gave hope to the families, we showed them that people cared, that an entire industry wanted their loved ones and relatives to be free. Thankfully the pressure built, we also made the men our Maritime Personalities of the Year – in recognition of their sacrifice. 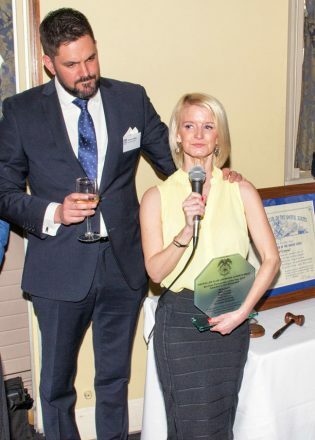 Finally, the tireless efforts of Lisa Dunn, Jordan Wylie, and all the families, aided and abetted by so many soap stars and TV personalities, and the maritime community, all played a part and the Indian government finally relented. The men were freed, and allowed to come home. That isn’t the end – the men had to then rebuild their shattered lives, their confidence and careers. In perhaps a fitting final act, a Welcome Home party for the men was hosted in Liverpool by the Propeller Club, and they were able to say thank you to so many people had done so much. So, as far as Positive Impacts go – we think everything we do delivers for the shipping industry, for the maritime community – and whether it is a student trying to find information, an artist looking for exposure, a business seeking clients, or men thrown in a faraway jail – the Propeller Club Liverpool is there to help. Voting will soon open for the awards, and we will forward the link to you – please, please vote for us. It would mean so much for us to win – and while we will continue to tirelessly promote the industry, it would be wonderful to bask for a short while in the recognition of a good job done well.